Used on Gluten-free brown rice pasta with feta cheese for picture. Omit cheese, or use dairy-free cheese for a vegan dish. Blend all pesto ingredients in a food processor until smooth. Pour onto cooked, drained pasta, in cooking pot, and warm for 2-3 minutes (I do this so the garlic doesn’t have as much of a bite for the kids…don’t bother if your family likes the taste of raw garlic). 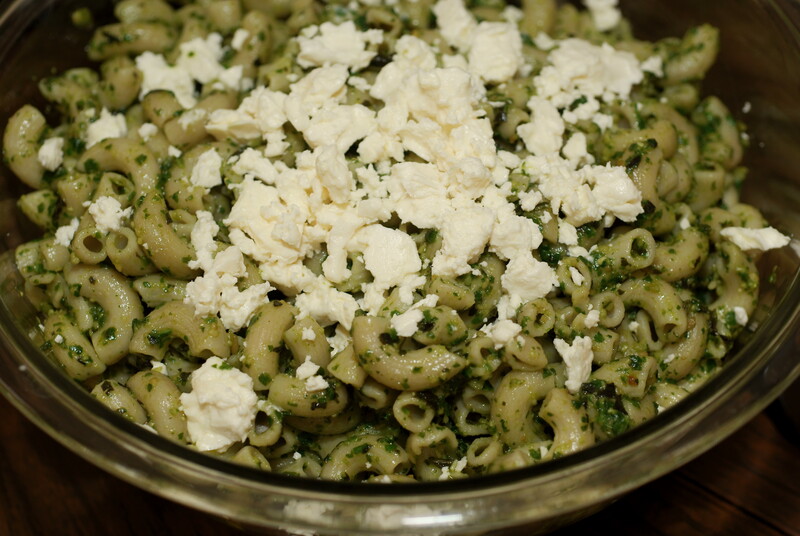 Pour pasta into serving bowl and top with feta cheese.